Quality built by CaraCo, this 1,685 sq/ft 'Parkdale' model is move in ready. Just 1.5 years old and boasting an oversized living room with 3-panel patio door overlooking the backyard. 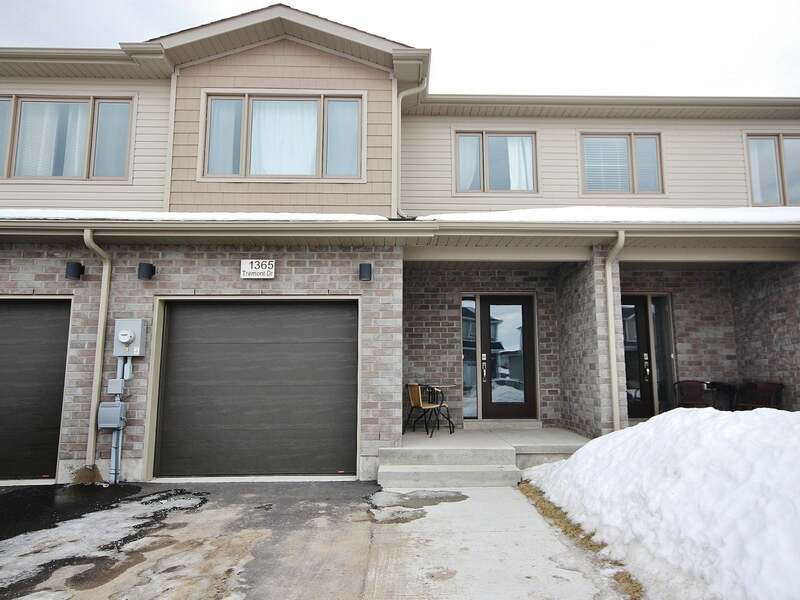 Open concept kitchen with centre island and extended breakfast bar, walk-­in pantry and stainless appliances included! Main floor laundry/mud room. High end laminate floors on the main level, pot lighting, upgraded exterior colour package, stainless over the range microwave and more! Upstairs offers 3 bedrooms including large master with walk-­in closet and 4­-piece ensuite bath with separate tub and shower. All this plus central air, HRV, garage door opener, paved driveway w/concrete walkway and more! Located in popular Woodhaven with easy access to all west end amenities. Balance of 7 year Tarion new home warranty. Call for details and to view this great home. Floor Area 1,685 Sq. Ft. Lot Size 20 x 104.99 Sq. Ft.